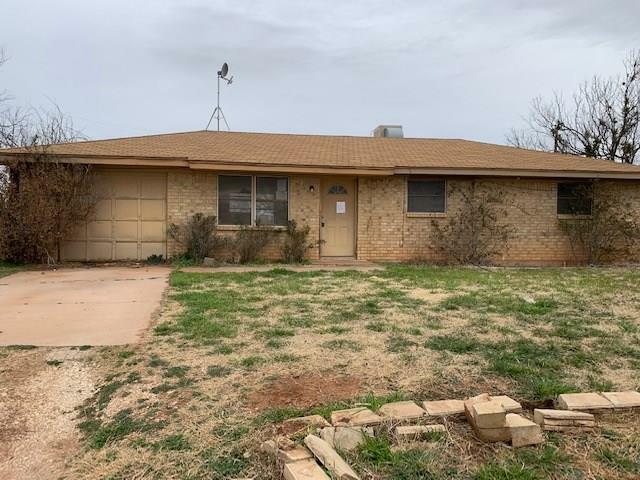 All Merkel homes currently listed for sale in Merkel as of 04/25/2019 are shown below. You can change the search criteria at any time by pressing the 'Change Search' button below. If you have any questions or you would like more information about any Merkel homes for sale or other Merkel real estate, please contact us and one of our knowledgeable Merkel REALTORS® would be pleased to assist you. 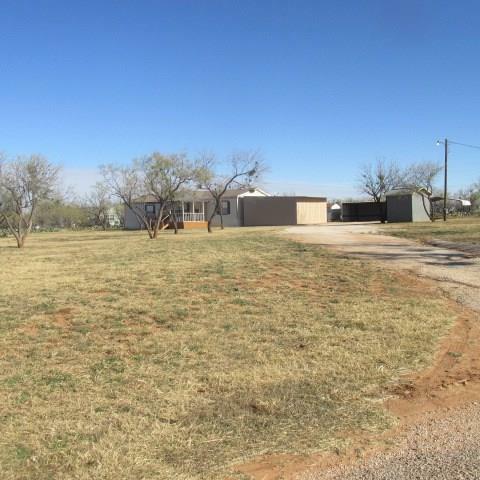 "Custom 4 bedroom , three and a half bath home on 4.7 acres NW of Merkel. The living area features a massive fireplace and windows that overlook the yard and pool. The gourmet kitchen is perfect for entertaining and family gatherings. In ground pool, hot tub, and pool house. Custom work shop includes RV parking, 2 storage areas, loft and apartment and is heated and cooled. 2 water wells. Windmill and pump. Nicely landscaped yard with drip system. 3 car garage. Paved parking with a circle dri"
"Quiet Country Living on 4 Acres just minutes from town! 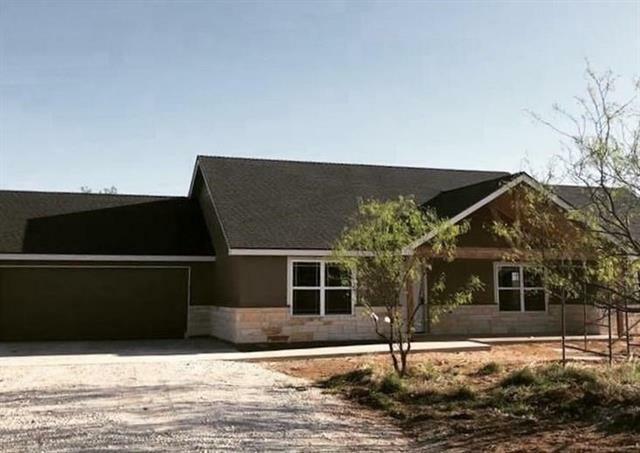 This PROPOSED home by Red Oak Custom Builders will surely please with a lovely open floor plan, vaulted & beamed ceiling, woodburning fireplace, split bedrooms, easy care stained concrete flooring in main areas, stainless appliances, & granite throughout. Enjoy beautiful sunrises & sunsets on your own mini-ranchette! Completely fenced (barbed wire) with entrance gate. Water well has already been drilled (no pump yet). Still time to choos"
"Tons of square footage on a large corner lot that is just over 1 acre! Seller's just installed two brand new water heaters, and a new refrigerator that will stay with the home. This home also includes a nice 30x50 shop with tall ceilings for plenty of extra storage! The backyard has a covered patio for entertaining as well as an animal pen! 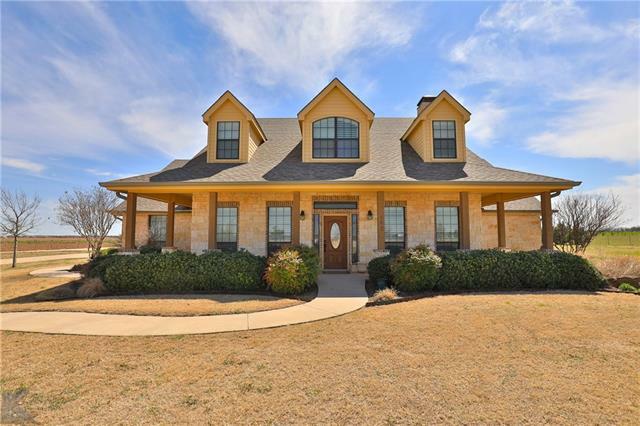 You can really do it all at this home, and it has been well maintained and features a wonderful master suite with a second living area, walk in closets, and "
"Do not miss your chance to own this affordable slice of Heaven, with 5 acres, OUTSIDE OF CITY LIMITS!This is a SOLITAIRE home that was custom built for this site. List of Solitaire home benefits available upon request- too many to list! This home has been immaculately cared for & has too many upgrades to list! Well for watering & sprinkler system in front & back, covered deck, matching stainless appliances, HUGE walk-in closet in master that is the size of another bedroom with its own counter sp"
"What-a-lot-of room and storage!!! Lots of space inside and out!!! 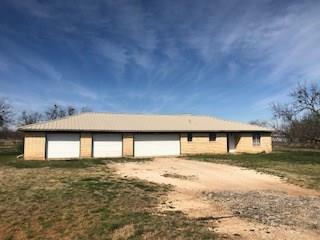 This country 4 bedroom, 3 living, 2 bath, 4 car garage brick home on a slab offers LOTS of storage and space! Tile, wood laminate, vinyl, and carpet. Wood burning fireplace. Metal roof. Extra storage rooms in both garages. 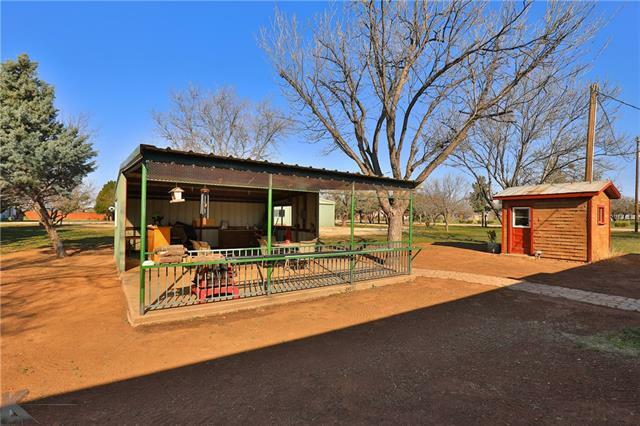 2 fenced acres for plenty of room for recreation, animals, or FFA. Country living for privacy. Coop meter and water well with huge storage tank." "Beautiful 1 acre, corner lot with award winning pecan orchard! This 3 bed, 2 bath home features an open concept living, kitchen, and dining with stunning views! Master suite has room for sitting area or office space with a spacious ensuite. Sunroom is the perfect spot to enjoy the west Texas sunsets and the hot tub! 2 storage buildings and the riding mower stay with property. 80 foot deep water well waters the whole property!" "Cute single family home and a shop with a fenced yard. This property will give you a home close to work. The house has 2 bedrooms and 1 bath. There is ample space for a yard around the house. This will be a great mixture of country living and close to town. 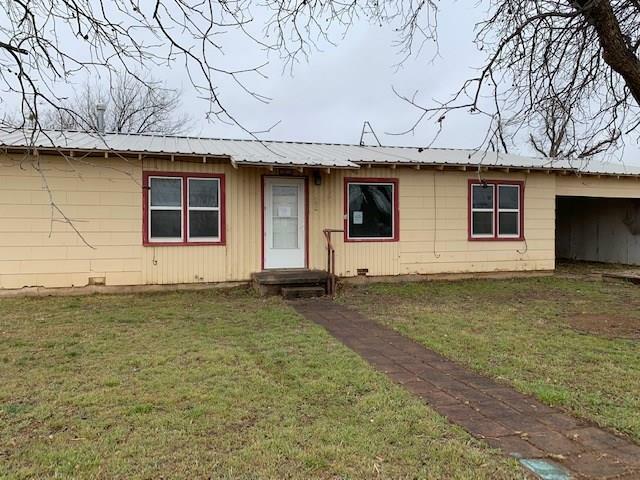 Also listed in the MLS under Commercial 13721924"
"Enjoy the sunset on this large front porch Very nice 4 bedroom 2 bath doublewide. Kitchen features like new appliance, and eating area. formal dinning area. 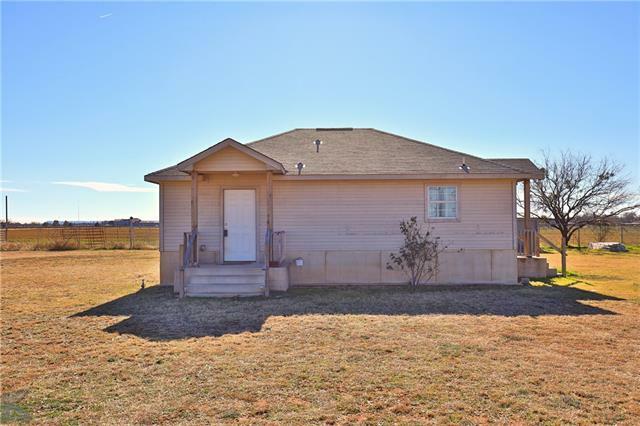 Bedrooms are nice size with ample closet space new carpet & flooring throughout the house Full length back porch, 2 car carport, workshop with electric and 2 smaller storage building. Custom storm shelter is an added feature. Vacant are ready for your buyer to move into." 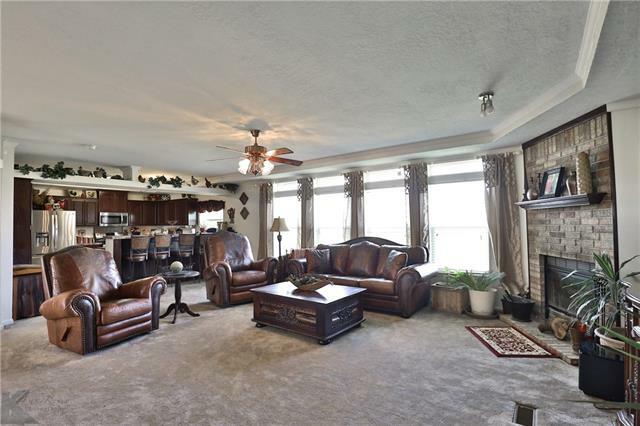 "Two story House located on the old Tin Cup Golf Course. Lots of house with large upstairs master with balcony." "Corner lot property with large storage building, house is being handled by Fiduciary Group out of Scottsdale, AZ so property is sold as is. Overall house is in good shape, stucco finish appears to be in good shape. 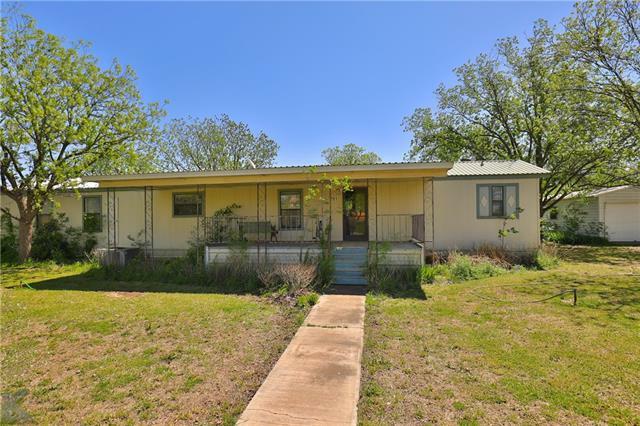 would be ideal for an investor, flipper or someone that is ready to put their mark on redesigning this one"
"Ranch style three bedroom in Merkel, Texas! Check out this three bedroom brick home--features include spacious living area, one bath and a quiet cul-de-sac location! 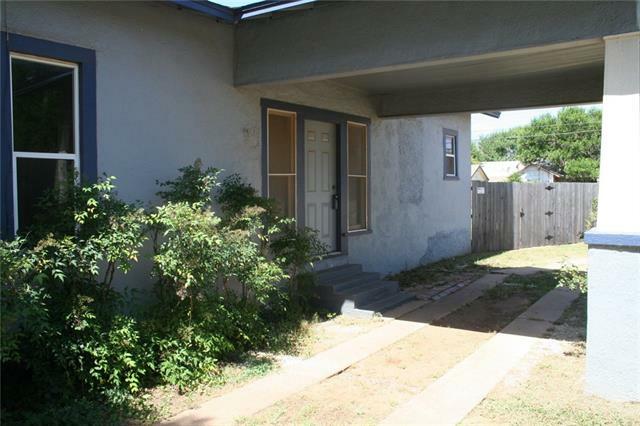 --Cash offers only-- Minimum Earnest Money Deposit is $3000 payable to the Seller's Designated Title Company." "Small town living in Merkel, TX! This ranch style home offers three bedrooms, two full baths, a spacious living area, bright and cheerful kitchen, plus a fenced backyard! Seller will not complete any repairs to the subject property, either lender or buyer requested. The property is sold in AS IS condition. Bring your tools and decorating ideas and make this one yours today! Freddie Mac looks at only Owner Occupant, NSP or Non-Profit Offers for the first 20 days-After 04-03-2019 all offers will"